Make your trip as enjoyable as possible by checking out the latest travel news in and around Halifax. 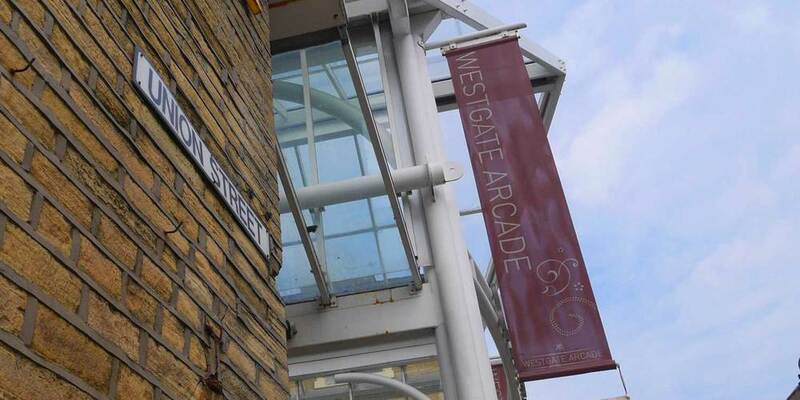 Westgate is ideally situated in the heart of Halifax, just 20 minutes off the M62. 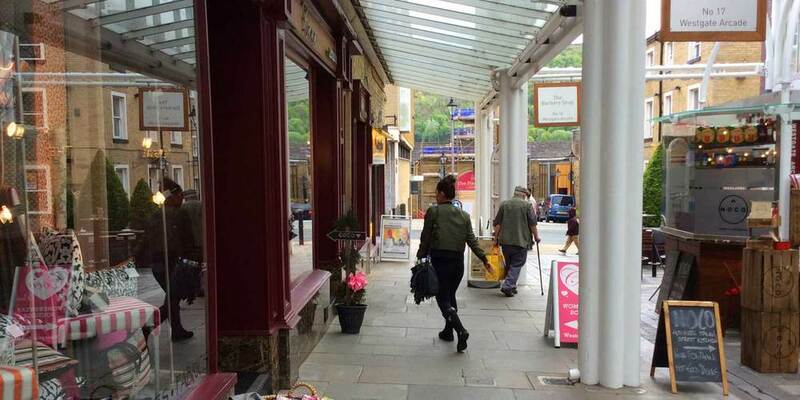 Shoppers travelling by car can use The Horton Street Carpark, (adjacent to Westgate Arcade) HX1 1PU. 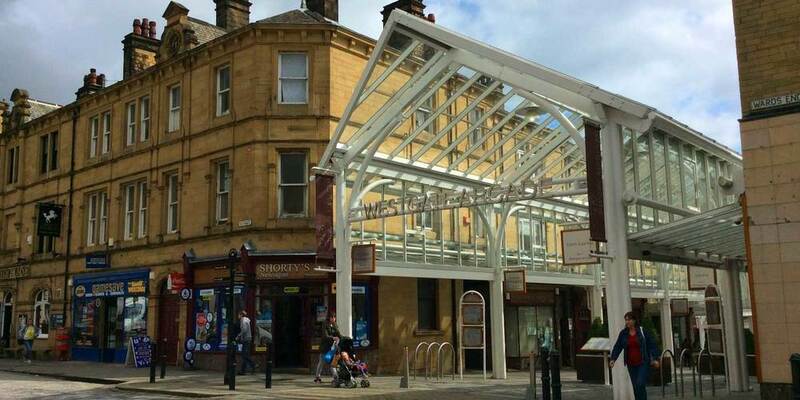 Whilst the bus station is only a five minute walk away, you can get even nearer by hopping on any buses that stop on Horton Street and Albion Street. The train station is a 10 minute walk and is well served by routes to the rest of Yorkshire and Lancashire. 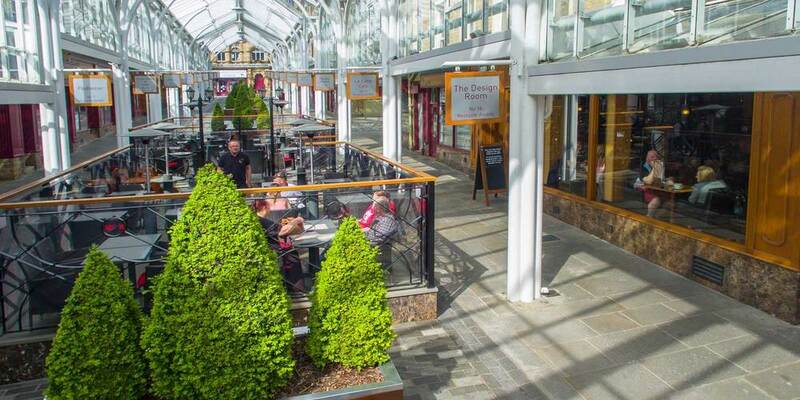 Welcome to Westgate Arcade, Halifax’s stylish shopping and dining hub. 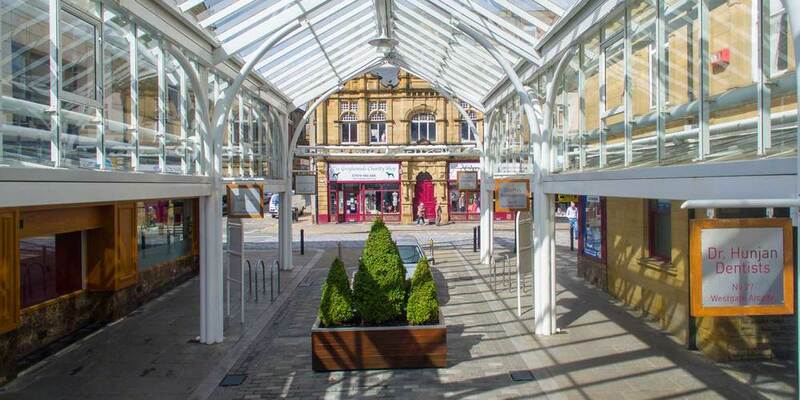 Winner of the Halifax Civic Trust Award in 2007, this modern fusion of classical buildings and covered walkway make it the perfect shopping destination in Halifax, regardless of the weather. 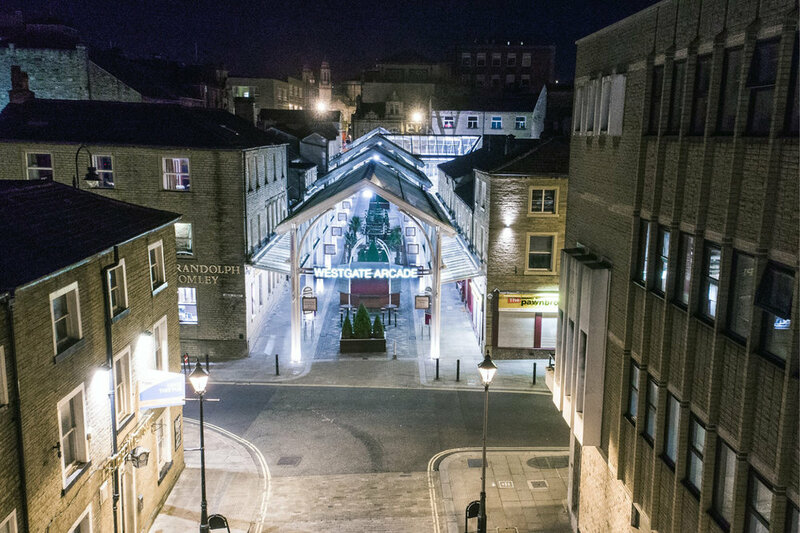 During it’s £2 million redevelopment all the original Yorkshire stone buildings were preserved with a modern glass roof canopy added to enhance the shopping experience, making it accessible all year round. Creating a pedestrian friendly area through eliminating vehicles from the arcade means there is no traffic dodging and peace of mind for shoppers with young families. 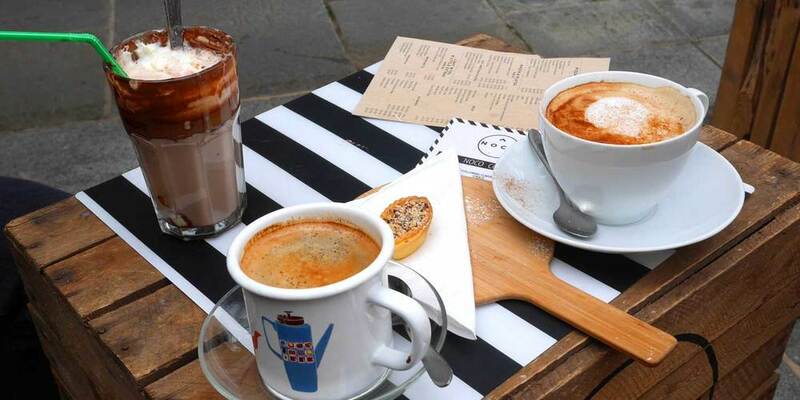 Being paved and enclosed provides a perfect place for you to relax and offload shopping while enjoying the restaurants or cafes al fresco dining and seating areas. 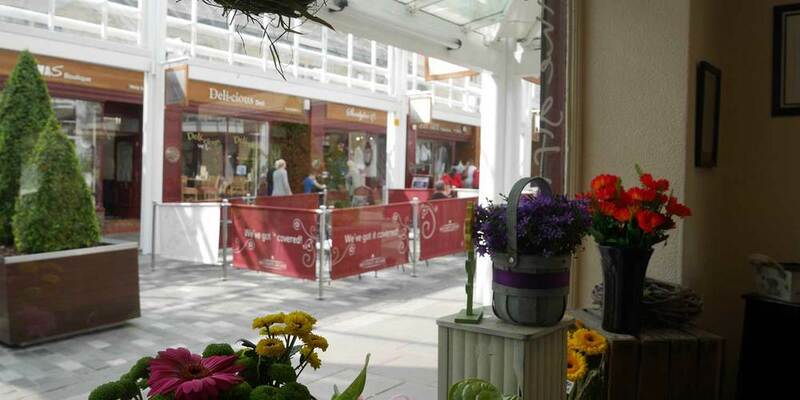 With over 35 shops currently in the arcade it’s safe to say that we offer a range of shops to cater for all people. From specialist cheese makers to record shops to the latest fashion boutiques, we’re sure you’ll find something that’ll be up your street. 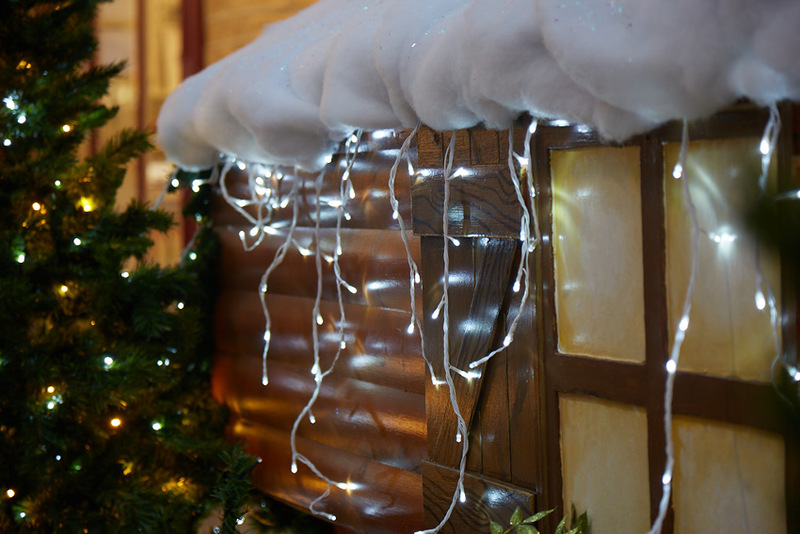 Our exciting events and promotions mean there is always something new to discover here, keep an eye on our social media pages below to be the first to know. 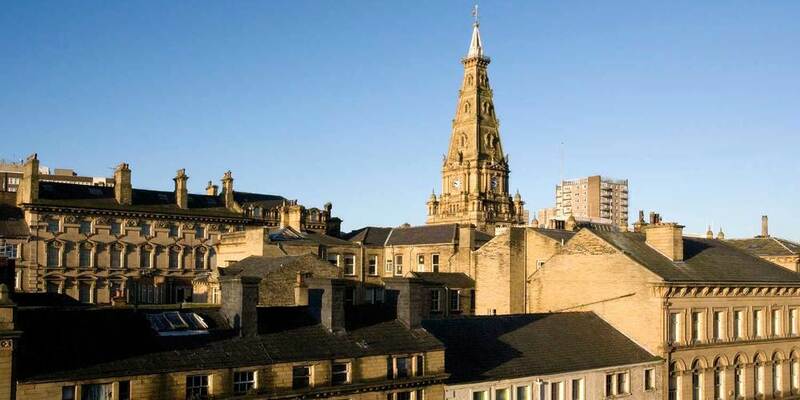 Halifax is currently in the midst of a £100 million regeneration project which has seen much of the town centre modernised and updated. Recently a £40 million development of a leisure facility in the centre has made Halifax an even more popular town to visit as it now houses its own cinema, making it even more perfect for days out. 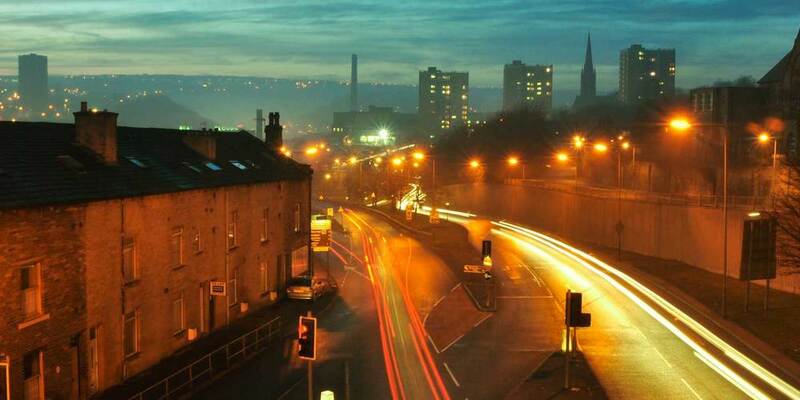 Wandering through the streets of Yorkshire stone, it is easy to see why Halifax is a place to invest in and visit. It is a vibrant little town that still boasts some of its old charm in the form of it’s market which dates back as early as the 1890’s. Placed against this is Halifax’s new restaurants offering cuisine from all continents, from tapas to Mexican, all bases are covered. It’s new bar scene is a welcoming draw after a long day of shopping, there are traditional old pubs alongside cosmopolitan bars to explore and relax in. With constant renovations occurring across the centre it’s easy to see why so many new businesses are starting to pop up in this historic town. With countless car parks, it’s only a short drive from the M62 and is on the train line from Leeds to Manchester making it accessible for all.